Hit us with your best shot! Best photograph that is! Keep your camera in hand and participate in our 2020 Photo Contest. 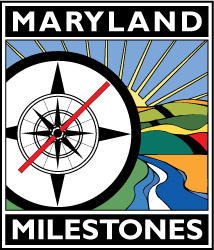 Maryland Milestones/ATHA Inc. continues its successful annual photo contest to capture the beauty, history, people, and distinctive character of the Anacostia Trails Heritage Area. Winning images become the basis for our yearly calendar. This program will form a basis to showcase the region and remind residents and visitors of what makes this Area a unique place to celebrate and preserve! Deadline for entries is September 27, 2019. Please make sure your subject matter is within the Heritage Area. (Click here for a map.) NOT ALL LOCATIONS ON THE ANACOSTIA RIVER ARE WITHIN OUR HERITAGE AREA. A panel of judges selects the images to be used in the calendar. Distinctive architecture, unique constructed landscapes, historic downtowns, sites that showcase unique history. People having fun at community related events and activities, e.g., cycling the Tributary Trail, fishing, festivals, concerts, etc. PLEASE NOTE: The artist for the painting in the January image is Valerie Watson and the painting is “Dark Red.” We apologize for the omission.